For some of you who have been here before “romance” does not mean being approached by a young lady wearing The Huggy Bear Women’s Collection at 3am at the bottom of the Ramblas. In Plaza Reial most people get drawn toward a place called Quinze Nits on the plaza. The reason for this is that it normally has a huge queue outside it solely because they do a set menu and have two sittings per night. It’s okay but does have the feel of school dinners about it, mind you, if they served apple crumble with pink custard I’d be all over it. 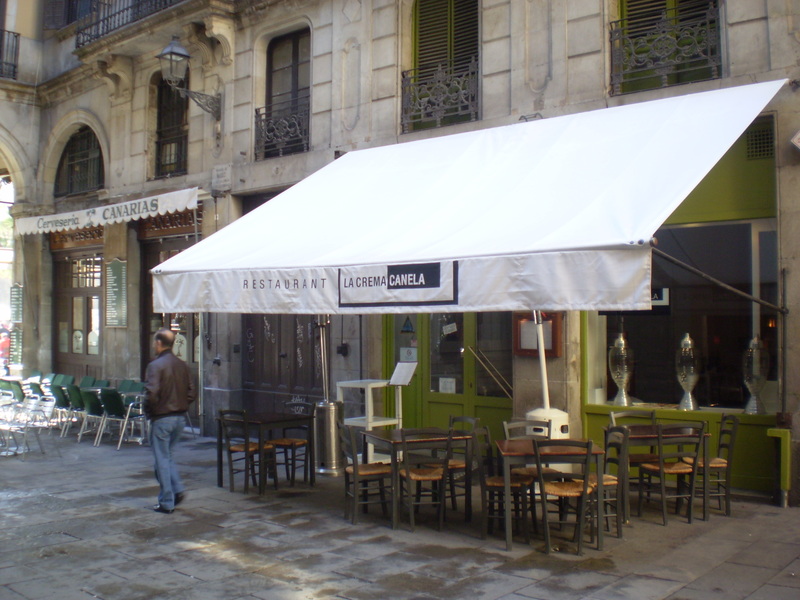 The thing is that 10 yards from Quinze Nits, in the little lane between the plaza and Carrer Ferran is a wee place called La Crema Canela. Much like El Paraguayo it really has no right to be that good so close to the Ramblas. The menu changes regularly, starters are around the 5 euro mark, mains around 10 euro. Great value for the location and the food has never let me down. The decor inside is very stylish, the service is excellent and the bill won’t cripple you for months afterwards. So, for those of you who are careful with your cash but still want to impress your partner this place is ideal.